Uncertainty about future market conditions puts most executives in a squeeze between retaining internal capacity to produce for customers (retain a capable workforce) and customer demand that fluctuates above and below the company’s relatively fixed capacity. We need flexibility in our workforce now more than ever. And yet we continue with the default solution: retain most of the workforce as employees in permanent full-time jobs, even though it’s the most inflexible option. It’s as though we’re investing in a factory that delivers a constant output and cannot scale up or down in response to customer demand. To get past this and achieve workforce flexibility (match workforce to workload all the time), we need an open market for consulting talent with transparent fees. We don’t have that yet. But we do have LinkedIn. A quick search will connect you with people who have just about any kind of skill and experience that you need. Now we need an efficient way to engage them. What we have instead is thousands of traditional staffing agencies and consulting firms whose owners enjoy a tax on your business by charging excessive fees and by inserting themselves as the gatekeeper between you and your consulting talent. 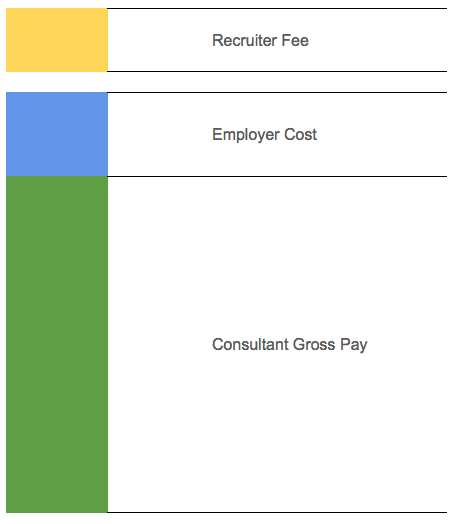 Recruiting fees are bundled into the consultant’s ongoing hourly rate. When you can’t see how much of the billable rate is for recruiting and how much is for the ongoing consultant rate, you pay too much. And that’s the common complaint – consultants cost too much. We agree. Although the problem isn’t the rate paid to consultants themselves. Let’s imagine you engage two consultants at the same time, both at $150 per hour. One remains engaged for six months and the other for eighteen months. Let’s say the hidden recruiting fee is 15% of the billable rate. $22.50 per hour. In this scenario you will pay $21,6000 for the consultant who worked six months and $64,800 for the consultant who worked eighteen months. Why? Did you get three times more value from the recruiting effort for the second consultant than for the first one? I don’t think so. The value of recruiting is in finding and engaging one consultant or an entire team to deliver your projects and solve problems. You should pay recruiting fees based on the recruiting effort itself, not how long the engagement lasts. Separate recruiting fees from ongoing consultant rates. If your company uses one or more staffing agencies, or a consulting firm, it’s time to re-negotiate terms of service so the cost of recruiting is separated from the cost of ongoing consulting rates. When that’s done, you should pay the same recruiting fees whether you engage a consultant for six months or eighteen months. Your staffing agency or consulting firm will likely refuse to unbundle fees. You may get all sorts of creative justifications. Let’s cut to the chase. 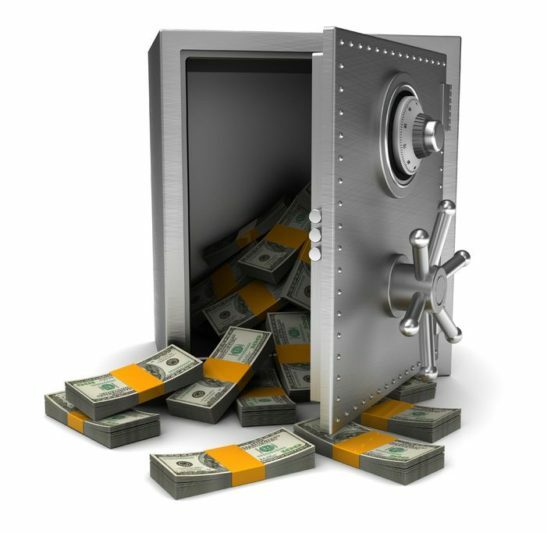 When those strong objections come out, it confirms you have an adversarial supplier who is hiding information from you… to fill their treasury with your company’s hard-earned cash. There is no proprietary database of talent. Traditional staffing agencies and consulting firms want you to believe they have an exclusive roster of talent that no one else can get for you. Hooey. That’s pre-internet, industrial-age thinking. They want you to believe this because when you realize the truth. 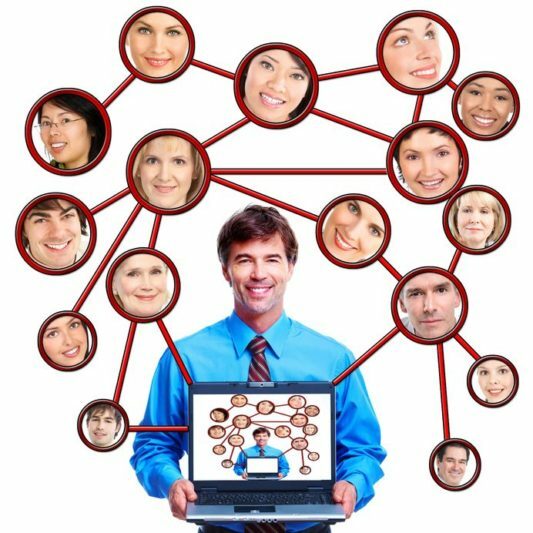 LinkedIn eliminated the value of recruiting firms and shifted it to talent acquisition professionals who maintain networks of contacts and who know their markets. As soon as your request is received by a traditional firm, they will search where you or anyone else can search: LinkedIn, Indeed and a few others. Consulting firms, all of them, including the biggest, cannot possibly retain all talent in house on the company roster. They regularly hire sub-contractors while keeping up the illusion that other firms couldn’t have delivered those consultant(s). If you have traditional consulting firm engaged now, odds are, you have their sub-contractors. So why pay the extra margin, when you can find those same sub-contractor consultants in publicly searchable databases? We’ve had open access to searchable databases for years: LinkedIn, Indeed and the rest. There is no proprietary database of talent controlled by any staffing agency or consulting firm. The firm doesn’t add value, your recruiter does. Your talent acquisition professional, and ultimately the consultants engaged by your company, will add value. The staffing agency or consulting firm itself doesn’t add value. There’s isn’t anything proprietary about it. The problem with consulting partners and sales people who sell their idea of unique “value added” by their firm is, there is an inherent conflict of interest. They aren’t solving your problems. I’m all for sales compensation if the sale actually adds value to your business. The value which you and your company achieve is entirely in the talent acquisition professional connecting talent with your business and it has nothing to do with the firm itself. When you engage an independent recruiter, the relationship is simpler. You can be sure there’s no gatekeeper in the middle to extract a toll. “Yeah, but my situation is more complicated.” you say? Contact us here. We’d be glad to un-pack your complicated situation and get you on your way to transparent fees and a truly agile workforce.